I hope everyone enjoyed a good July 4th holiday. I always give thanks for those who have formed and protected our nation over the years, and for my own opportunity to provide some small public service to Arlington. Metro’s General Manager, Paul Wiedefeld, came to speak with the Board about the current state and future of Metro, which is crucial to this region’s economic growth and quality of life. He discussed how Metro needs a dedicated source of funding so it can have some certainty in budgeting. This will be hard political work. It will take bipartisan effort with legislators in Richmond and elected officials around the region; and given the fairly bipartisan agreement that we urgently need this funding, I am hopeful we will finally succeed. I plan to use all the connections I have and can make this year to help make it happen. I am honored to be a member of the NVTA subcommittee advising former Transportation Secretary Ray LaHood as he prepares a report to Governor McAuliffe on the governance of Metro. Mr. Wiedefeld said it is important that Metro inspire confidence and that to do so, safety and dependable schedules are paramount. 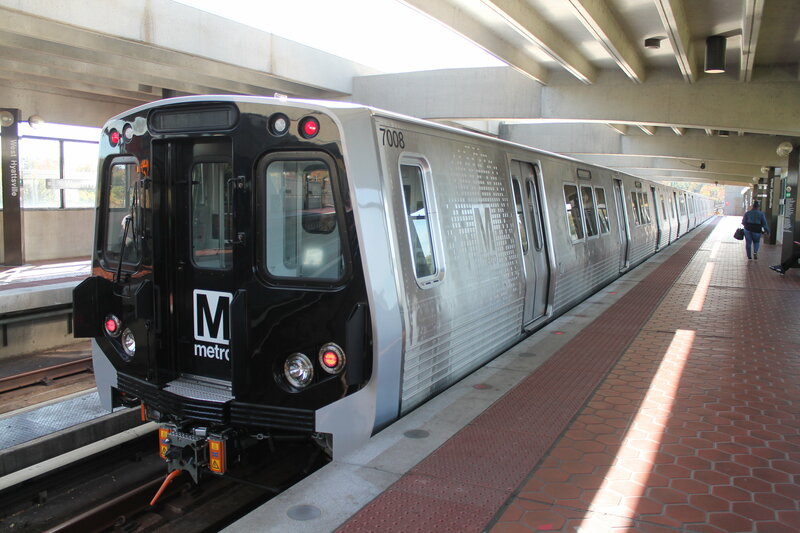 Metro is making strides in that direction: as of last week, it has retired two generations of its most unreliable rail cars, and soon one-third of the rush hour fleet of train cars will be new. The SafeTrack work over the last year is complete. SafeTrack focused on catching up long-deferred maintenance. Now that it is over, Metro is able to focus on, and has started, a long-needed program of ongoing maintenance. Within Arlington, our progress on improving bus service, especially on Columbia Pike, has not been as fast as my colleagues or I would like. In a recent work session, we heard how some improvements are not efficient until there are more riders, which led to a good discussion of the “chicken and egg” problem in transit. If you have reliable, frequent, and comfortable service, you attract riders. If you wait for them to come before providing that level of service, they may never come. The Board made clear it is interested in providing the high level of service first to attract riders, rather than waiting. We discussed our goals for frequent, reliable, and regular service in comfortable, efficient buses with stops that are recognizable, enhance the neighborhood, and provide functionality like level boarding and off-board fair collection to speed riders on their way. We have ordered new bus shelters for the Pike and they should start being installed next year. We will order new buses, likely styled after the Metroway buses in Crystal City, once we decide on branding and signage. I will continue to monitor progress and will be active in oversight to keep the project on course. 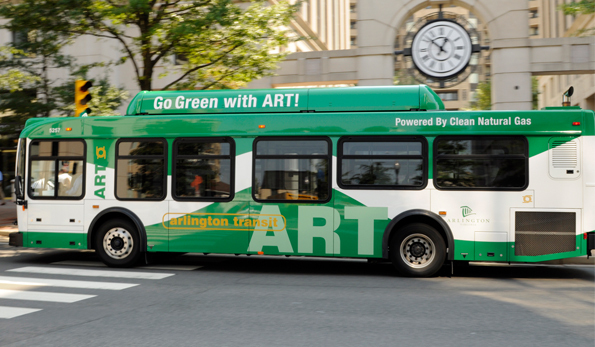 Finally, we voted to move forward with purchasing land in Fairfax County to house our ART bus maintenance facility. This is a way to free up much-needed space in Arlington and I am delighted the purchase seems to be moving forward. The Board continued its look at revising our sign ordinance to add flexibility for local business. While most proposed changes were not controversial, we had some disagreement on changes related to buildings facing plazas. The majority of the Board voted to give more flexibility to allow businesses facing a private plaza to have the same sign allowance as those that face a public plaza. Many plazas, in Crystal City particularly, are owned privately and are treated as public, even though they do not have a formal public access easement. Tighter sign restrictions have made it difficult for businesses on these quasi-public plazas to attract customers, which makes it difficult for those businesses to succeed in Arlington. I look forward to these businesses flexing their creativity and attracting more customers. We met with the School Board and the Joint Facilities Advisory Commission (JFAC) to discuss JFAC’s recommendation for the Virginia Hospital Center’s property on S Carlyn Springs Road and the “Buck” property across from the Ed Center on N Quincy Street. It was generally agreed that the County should purchase both properties. The JFAC proposed several scenarios for how to use the land. We asked our staff to come back with more information on several of the options, including the possibility of doing a partial land swap on the Quincy Street site to obtain land for bus storage by Shirlington near I-395. While everyone pretty much agreed it would be good to have the Shirlington property, there was disagreement on how to purchase it. Most people do not want the land swap, which would lead to the construction of a CubeSmart storage facility on a portion of the Quincy Street site. I continue to study these issues, but tend to think some sort of land swap with restrictions on the use of the property by CubeSmart may be the best option for us. I again want to thank so many of you for your good wishes and help during my recovery from knee replacement surgery. This is not an easy or quick recovery, and I have been limiting my time at meetings and public events. But I continue to become stronger and am excited to continue to participate in more and more public activities as my recovery progresses.